Events in Agra & Mathura ! Top Event Companies in Agra ! Taj Mahotsav ! Agra the city of TAJ is one of the best historical city in India is around 200 KM from National Capital Region Delhi. It is one of the top MICE destination in north India. This city is famous tourist place and attract lot of International tourist every year. Taj Mahotsav is most famous event which take place in Agra every year organised by ministry of tourism government of Uttar Pradesh. This places is a good wedding destination and having very good resort and hotels and event venues. It have very good connectivity with all over India through national highways and rail routs. Agra have own Airport which is connected from Delhi and Mumbai. Event management services in Agra is just a click away. Mathura is most famous divine city in North India and just 50 KM from Mathura and is birth place of lord Shri Krishna. Mathura is also called city of temple and Janmashtami is most famous festival and event is Mathura. We are eminent event management company in Agra and Mathura provide end to end solution for all kind of event. We deals in corporate event management, destination wedding, exhibition, Tour planning, and event logistic services in both above cities. Hire4event provide sound system rental, event production and fabrication, live shows, artist booking, college events, and parties. We are a company with complete one point solution for event industry without any hassle. There are lot of event company in Agra and Mathura with good services. Global magic Consulting Pvt Ltd is largest and big event service provider in north India which provide their services in these both cities too. 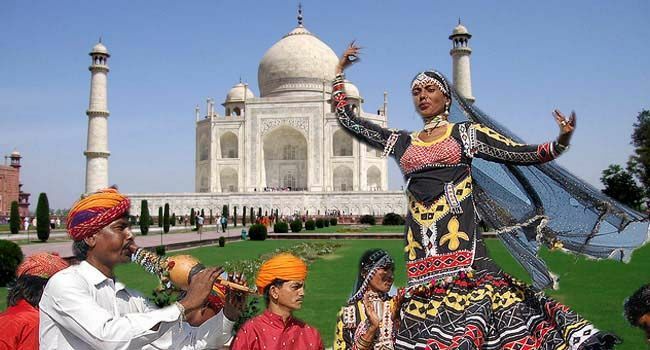 Ministry of UP Tourism organises this annual event in Agra . This is a 10 day event held at Shilp Gram Agra. It reflects the Mughal and Nawabi style of Old Agra culture. It is open to all event where people can buy and enjoy handicrafts, Local food, Cultural shows and performances of many Bollywood artists and many other shows of attraction. Ram Barat is a event which is organised before Dussehra and it is part of Ramleela Celebration. The location of this festival is changes every year. It is one the biggest fest in North India in its category. It is based on wedding on Lord Shri Ram.The roads and locality in Agra is decorated by lights and flowers on the occasion of this event. This fair organises four times at the different temples of Lord Shiva in Agra on 4 consecutive Mondays in Hindi month Savan. First Monday Rajeshwar Temple, second Monday Balkeshwar Temple, Thirrd Prithvinath Temple and last at Monday Kailash Temple. People come to enjoy this fest from all nearby areas. Bateshwar is one the various names of Lord Mahadev Shankar Ji. The venue for this fair is Bateshwar Mahadev Temple Agra. The place Bateshwar have total 108 temples in the city. This is a cultural show held in October month. Many top dancers and musicians of country perform there in various cultural shows. The venue for this event is at historical locations in the Agra Fort and Fatehpur Sikri.